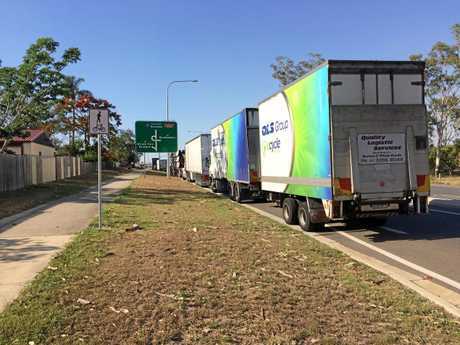 OVER 200 trucks and travellers spent the night sleeping on the side of the road at the Calliope crossroads. 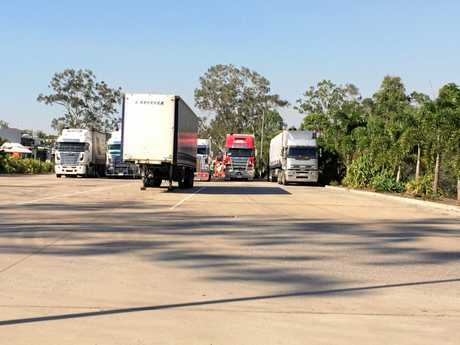 The long line of trucks carrying food stuffs, industrial and farm machinery and construction materials were parked on the northern bound lane on the Bruce Highway. A Burua resident said the queue stretched for nearly two kilometres. The highway was closed to traffic late yesterday afternoon as thick smoke covered the road. The fires swept around Mount Larcom and jumped the highway to the south of the Gladstone turn off. At 9pm Wednesday night the highway remained closed due to the potential of burning trees falling across the road. An excavator removed the trees on Thursday morning and the highway re-opened at 8.30am this morning. Truck drivers Mark Parry, Patrick Wilko, Richie Reeves and Paul Starling said they didn't mind making the unplanned stop as it hadn't been too far to walk to the nearby service station, but they were keen to get going again. 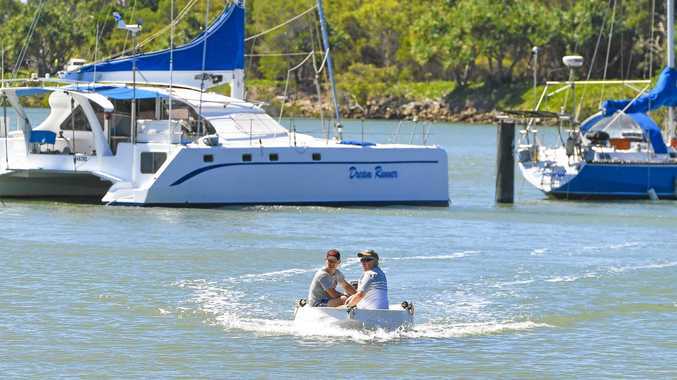 "I suppose it makes a change from being stuck next to flooded rivers," Mr Parry said.